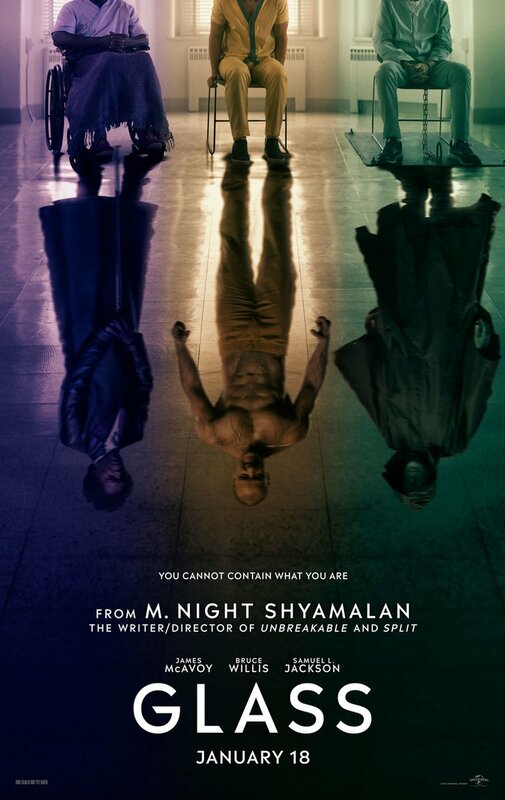 After 17 years, M. Night Shyamalan is finally delivering a proper sequel to Unbreakable. The writer-director announced the news Wednesday on Twitter after months of teasing a new script he's been writing. He revealed the film is called Glass, and that Bruce Willis (David Dunn) and Samuel L. Jackson (Mr. Glass/Elijah Price) will return. Universal will release the film Jan. 18, 2019. "My new film is the sequel to #Unbreakable AND #Split. It was always my dream to have both films collide in this third film." Doesn't come as a surprise at all since I was just reading about this plan last weekend when I watched Spit. I like that they have so many old characters returning. Is this going to turn into all M. Night Shymalalamamanamana movies being connected in the same "universe"? wags83 wrote: Source of the post Is this going to turn into all M. Night Shymalalamamanamana movies being connected in the same "universe"? Maybe that's the reason he's unbreakable. This is the most excited I have been for a movie in decades and it's the happiest I have been with life in general since before my first child was born. Fawlty wrote: This is the most excited I have been for a movie in decades and it's the happiest I have been with life in general since before my first child was born. Honored to have the world's bigger M. Night fan on CPT. Also, sending this to your wife now. Wilkins, will you see this with me? Tyler wrote: Source of the post Wilkins, will you see this with me? I actually really really really hated Unbreakable. I need to rewatch Unbreakable. I saw it once when it first came out and don't remember too much of it. I watched it a few years ago (probably a thread on here for it). I would like to see this finale one in theaters. Would be the only one I saw that way. I'm not watching this trailer. I don't want any hints of the movie. wags83 wrote: Source of the post I need to rewatch Unbreakable. I saw it once when it first came out and don't remember too much of it.